J. Gurney & Son,, photographer. 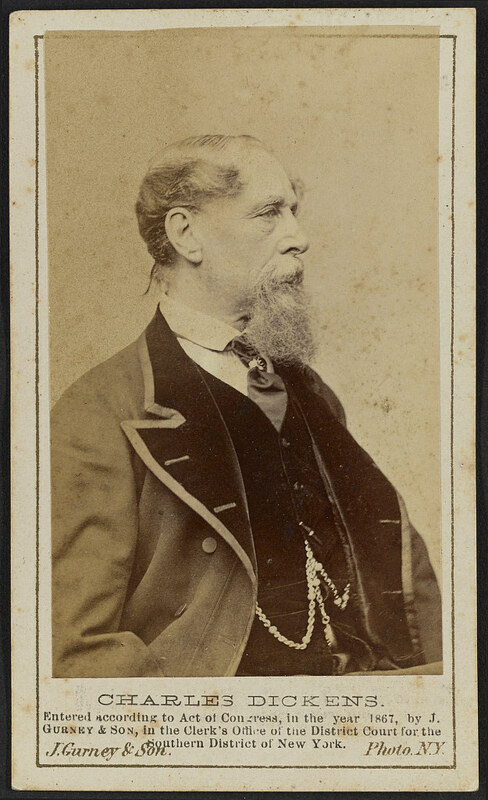 Photograph shows a profile portrait of author Charles Dickens (1812-1870), facing right. Forms part of the Emily Howland photograph album, p. 24.